Senior standout EJ Liddell powers the attack and his efforts have powered his squad to wins from teams out of state in every game so far. A double double machine with skill, instincts, feel, and an ability to fill the box score, Liddell is continuing to trend upward this season and his play is one of the most consistently dominant of the season so far. Fresh off a scintillating run on the football field where his Hercules type effort helped capture a state championship, 2020 G Jalen Suggs is must watch entertainment on the hardwood as well. A high major impact guard, Suggs powers the Minnehaha Academy attack which also boasts sophomore Chet Holmgren and talented freshman Prince Aligbe. Another powerful squad but the show here is 2020 C N’Faly Dante who’s regarded as one of the premiere bigs in the country. A plus length athletic skilled big who guards the rim defensively and finishes at multiple levels and with authority offensively, the rep for Dante is much deserved as he’s one of the most impressive up and coming interior prospects in the country. 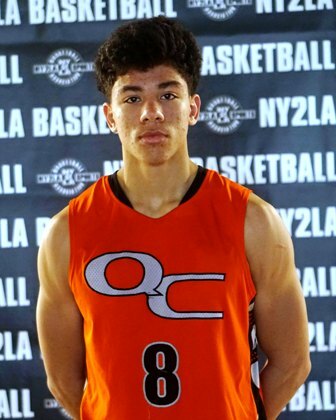 They boast the top sophomore in the country in 2021 G/F Patrick Baldwin Jr. who is as gifted and skilled a talent as there is at the high school level. 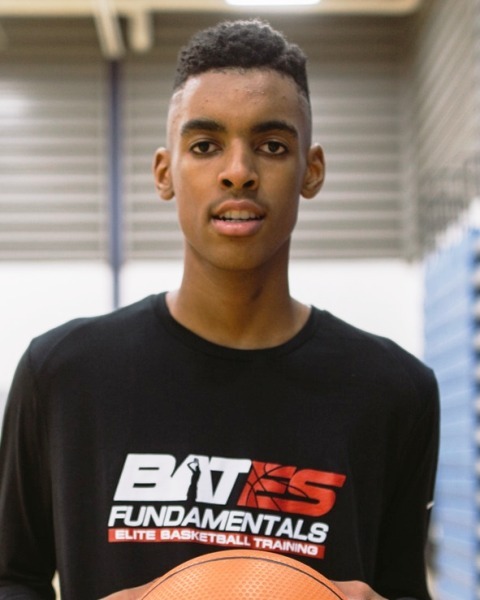 Equipped with size, plus length, instincts, feel, vision, and the best pure stroke in the country, Baldwin is the definition of blue chip at this stage and he’s equality high character off the court. Add to the mix a solid support cast that includes talented but raw interior big sophomore Nolan Rieder and sharpshooting guard Tanner Resch and it’s easy to see why Hamilton is expected to challenge for the Division 1 state title in Wisconsin this season. They boast the top freshman in the country in Emoni Bates and the young talent is regarded by many as a Kevin Durant type at this age. He along is worth checking out as many see him as one of the five best pro prospects in the country regardless of class. He's legit special and he's only scracthing the surface and that's as 100 as it gets. Carton chose the path less traveled so to speak by competing with the Quad City Elite and participating in the NY2LA Basketball Association. The end result was a commitment to Ohio State, and NBPA Top 100 Camp Invitation, and Invitation to USA Basketball, and a potential McDonald’s All-American spot with a huge season this year. He’s already off to a spectacular year and he’s a legitimate top 20 prospect nationally. The Wisconsin native transferred to the Indiana power late in the summer and he’s already delivering immediate returns. A smooth perimeter shooter with range that extends beyond the arc, Polk can also hit the mid-range and he’s added some height and explosion to his game that already boasts solid on and off the ball skills with plus length. A high major guard, Polk will be a key contributor for La Lumiere all season and he’s really just starting his ascent as a prospect nationally. One of the top sophomores in the country, Foster is a plus length athletic strong versatile forward with an ability to finish at multiple levels both in transition and in half court sets. An alpha mentality is a part of his game and he’s a matchup problem on any given night given his size and ability to dominant both from the perimeter and around the basket. Another blue chip caliber talent on the hardwood, Foster is one of the best pure prospects in the country regardless of class. 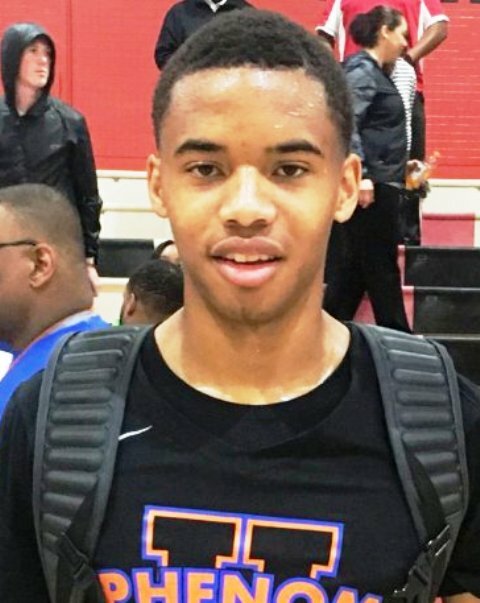 Already drawing early press in the same breath as former Ames standout Harrison Barnes, Lipsey is regarded as one of the top 2022 prospects in the class. Equipped with strength, explosion, skill, and an aggressive mentality, he can score at multiple levels and he’s an excellent passing guard already. One to track closely moving forward as he’s already generating a lot of burn in Iowa and regionally as a freshman. One of the best pure sleepers in the country regardless of class and in the truest sense, Williams has plus length, crazy bounce, he slashes, he scores, he can defend, and he has solid rebounding skill as well. His best basketball is in front of him and he has a chance to be an absolute steal on the hardwood for whatever program lands him. An exciting prospect who really just started to take off this past spring and summer, he’s one to watch closely this season.